Fireworks terrify my dog. My neighbors have been setting them off for a week. I’ve been finding my dog under the bed, the desk, the dresser, behind the TV stand…anywhere she can cram her small body. I’ve written in the past of how I give Misha a sedative on the 4th of July to help calm her nerves. She relaxes while World War III plays out in our neighborhood. Without it, she runs around the house with a crazed look in her eye never finding a safe place to hide. Please keep your pets safe this long weekend. 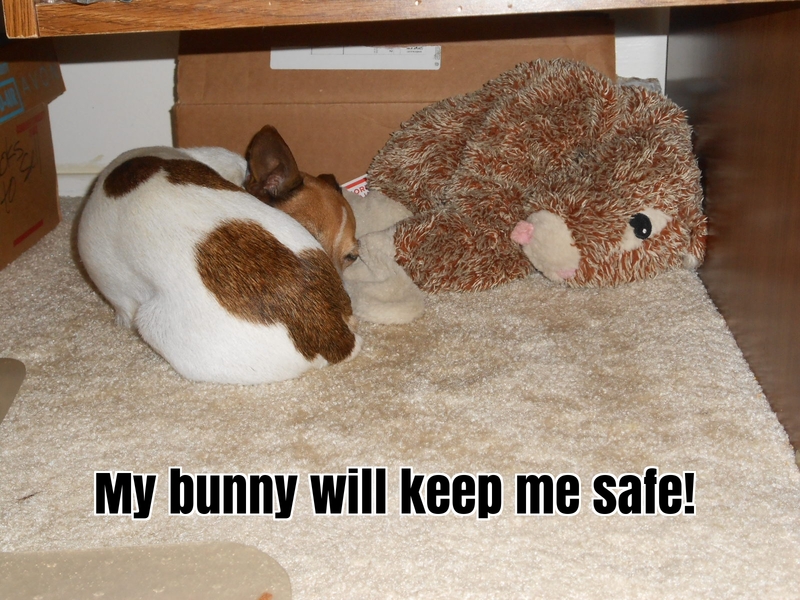 If the bangs and booms bother your pet, be sure to provide them a safe place that they can hide until it’s over. If they get really scare, like Misha, don’t be afraid to ask your veterinarian for a sedative. It’s much better than watching your dog or cat suffer for several hours. Remember, terrified animals may run! Fight or flight reactions are instinctual. You don’t want to lose your dog or cat during the festivities. 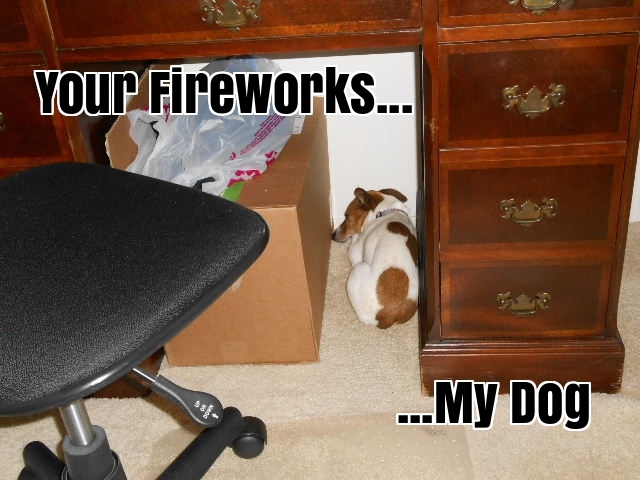 If your pet is scared by fireworks, do you have any special methods you use to keep them calm? Are their products you use that keep them calm? Are their herbal remedies that work? Do you have a special method that works? Tell us about it in the comments! I could use some tips. Wordless Wednesday: Well, Good Morning to You, Too!